Pro Ski Simulator so Effective? While anyone using the Pro Ski simulator will reap the rewards, it's particularly effective for anyone who has been injured or is trying to avoid injury. 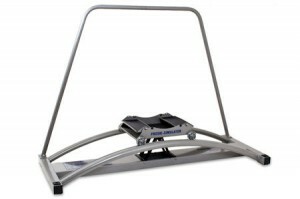 The PRO ski simulator is three- Dimensional dynamical device, recommended for traumatic rehabilitation physiotherapy for active athletes, as well as being an excellent piece of recreational equipment. The therapeutic version of PRO Ski Simulator has a built in handle, used only to achieve movement correction for improved safety. 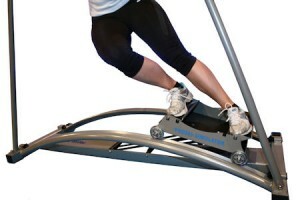 The progressive graduation of intensity is reached by using different levels of resistance by adjusting the bands this is transferred through the foot pads. The strength of using this machine is in the activated combination of muscular power training against the elastic resistance of the machine and the joint strengthening during training and the repetitive training develops greater control and stamina. High quality muscular fibre is created with increased number of mechanoreceptors, which stimulate not only the increase of power, but also the adaptability and the fast muscular response. Such training aids help to prevent ankle, knee and hip ligament injuries, meniscus injuries, the injuries of the knees cross ligaments and the lower body extremities and muscular lesion. 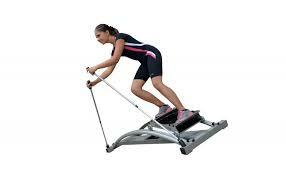 Exercising on this simulator is an essential part of rehabilitating in the later stages of heavy injuries. The risk of injuries are gradually reduced by upgrading the level of training difficulty over a sustained period.